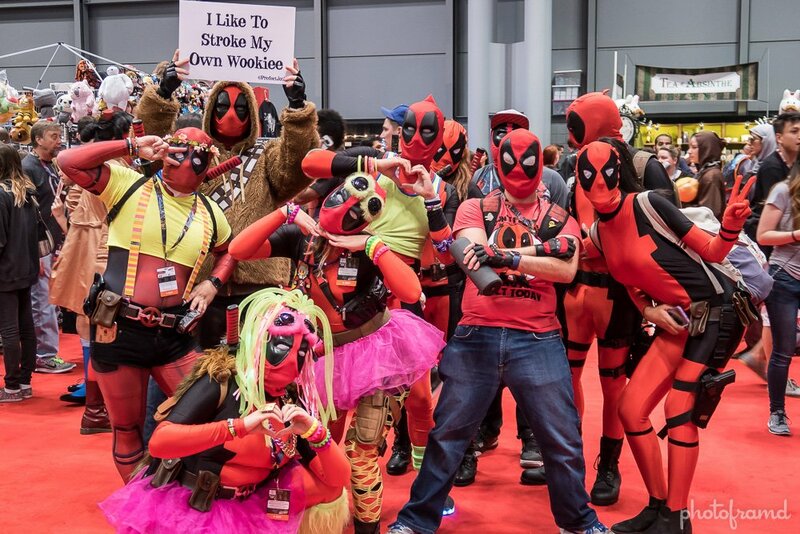 Deadpools, Deadpools, and more Deadpools! 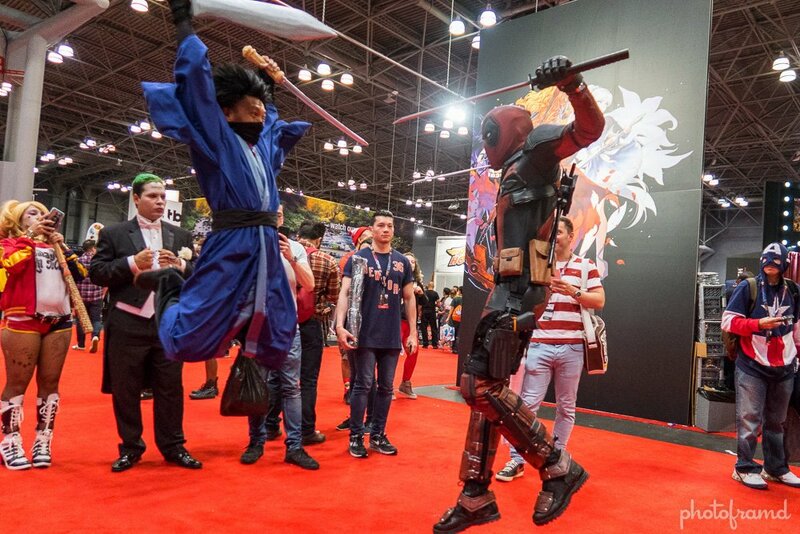 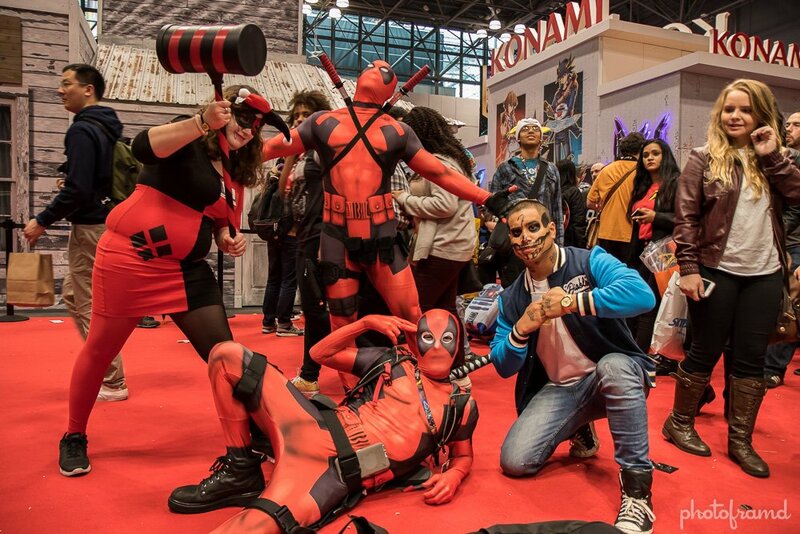 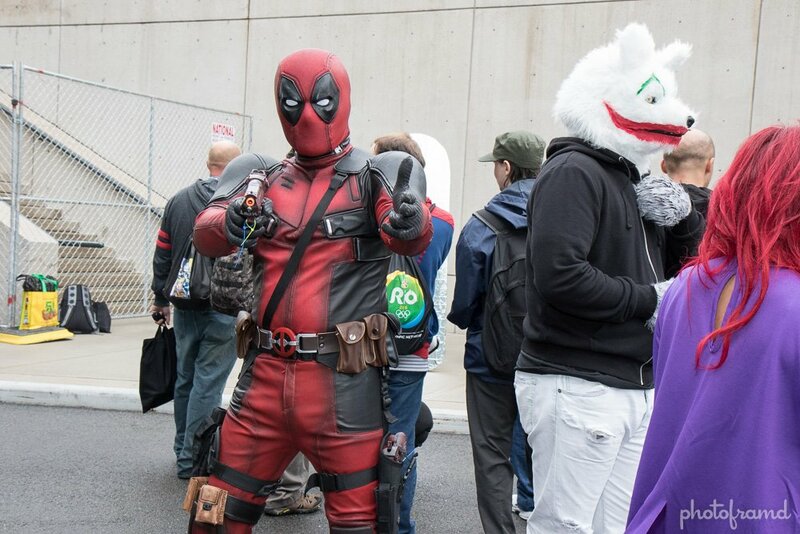 The Ryan Reynold’s movie raised the public consciousness to the character and this year’s NY Comic Con 2016 showed it. 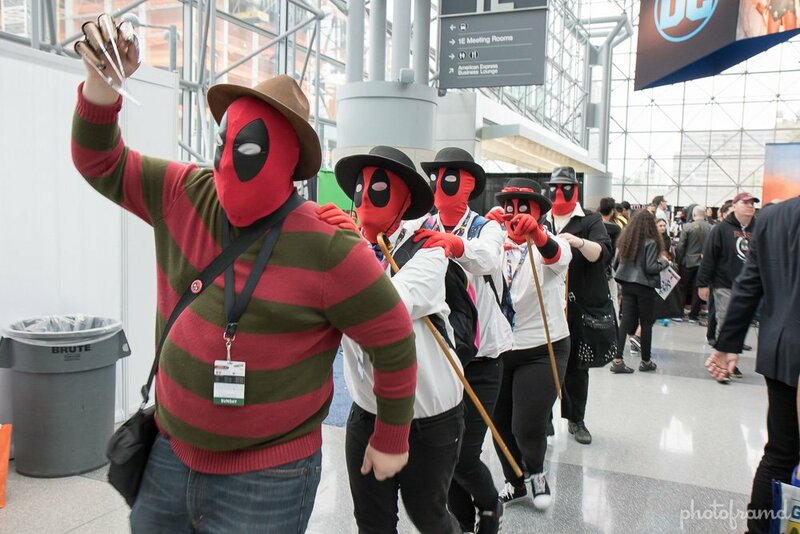 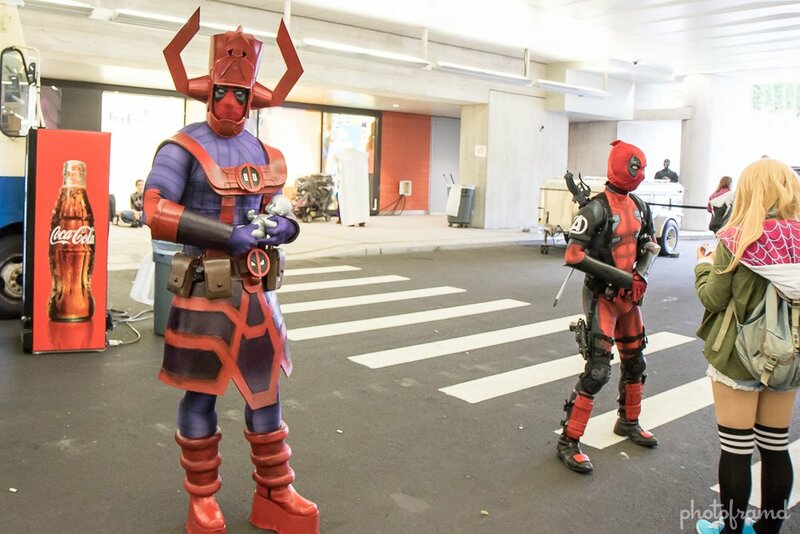 One Deadpool can be nilarious but it’s even funnier to see a roaming band of Deadpools.